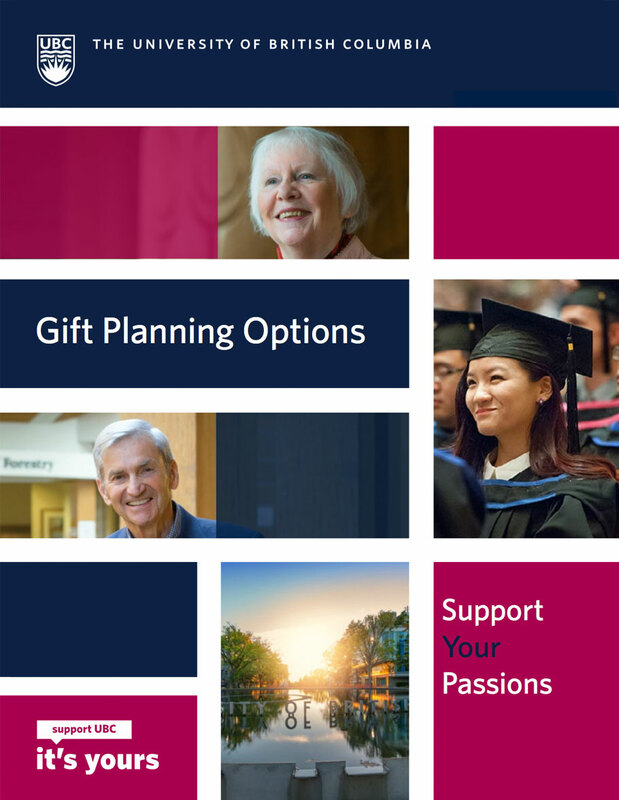 When planning for a bequest, you will need to consider how you would like your gift to be used to benefit UBC—whether unrestricted in purpose or restricted to a specific school or purpose, and whether you would like it to be an expendable fund (to be spent when received) or an endowed fund (to last in perpetuity). An unrestricted bequest allows UBC to determine how to use the funds based on its most pressing needs. Unrestricted bequests are valuable because the University can use them to flexibly meet its future needs. A restricted bequest directs your gift to a specific fund, faculty, or purpose, such as an undergraduate scholarship. A restricted bequest may be expendable or endowed. Because each restricted bequest is unique, UBC encourages donors considering this type of gift to speak with a member of the Gift & Estate Planning staff about the appropriate language. Endowed funds provide income every year in perpetuity to carry out the designated purpose of the fund. Note that endowed funds have minimum required amounts. Please speak with a member of the Gift & Estate Planning staff if you are considering a bequest to establish an endowed fund.